Anne Heche puts on the best performance of her career in My Friend Dahmer, and she’s probably the third best thing about this film, which you should take as a very healthy sign. For a movie nobody saw about a serial killer nobody wants to remember, this strange biography does so many things right, and cements itself as an under-the-radar yet top-notch production that will surprise a few people when they finally get around to popping it into there DVD player. 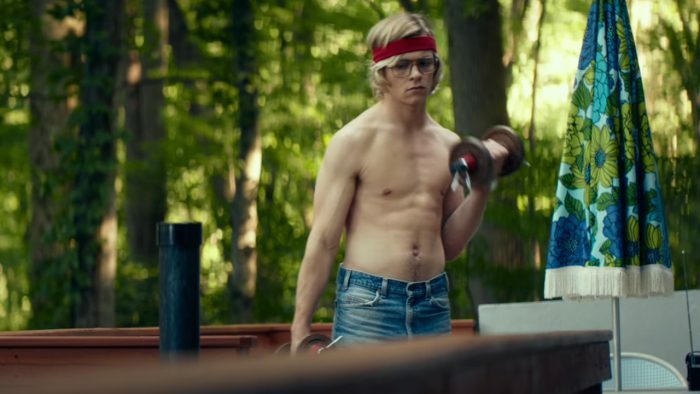 That doesn’t help the filmmakers or the cast and crew, but it’s something; My Friend Dahmer is better than the limited coverage it received and should be bumped up your list. Based on the true story as written by Jeffrey Dahmer’s best and basically only friend, John Backderf, this is a look at his high school days, junior and senior years, when his madness began to creep toward the surface and his childish idiosyncrasies became full-blown psycho killer profile chapters. Jeff was an unhappy and unsocial kid, the eldest son in a family living in Ohio and who were about to go through a divorce. His mother was mentally unstable, his father was a quiet chemist, his little brother was just in the way. Jeff was a part of the high school band, but he only did it to appease his parents’ need for him to be “involved”, to be normal. What he really liked most was to be by himself in his shed with his dead animals. Yes, dead animals; Jeffrey’s hobby was finding roadkill, putting it in an acid solution, and watching it dissolve. He was fascinated by bones and the internal secrets of biology, but not exactly in the healthy way that would lead you to believe that he would someday be a famous biologist. Jeff was also gay but closeted, violent but submerged, desperate for human interaction but unsure how to initiate it. He would find a sort of fame within his school by acting like he was having fits or seizures, what the kids at school started calling “doing a Dahmer”. He would even become a sort of mascot for the Dahmer Fan Club, but these boys, including ‘Derf’ Backderf were only partially interested in being his friend, mostly just amused by his strange antics. During his senior year, Jeff became more withdrawn and began to fantasize more often about violence, a clear path toward his infamy beginning where no one could see it. One thing this film does well (and I mention it right away because I worry that the summary will make it sound like the opposite) is paint Dahmer in a pathetic light, not in a sympathetic one. That’s a tricky balance to find, making sure that your audience relats to your main character, but not justifying the terrible things that he did, especially since Jeffrey Dahmer is perhaps the most notorious and disgusting serial killer in American history. He’s shown as human, sure, and also as sad, but more disturbed and wrong, not misunderstood. Again, I think that must have been a very difficult tight rope, and so credit needs to go to the director/screenwriter Marc Meyers for figuring out where the tipping point was and keeping his film centered from start to finish. Now on to the movie, which was surprisingly good. I hadn’t heard much about it, not many people had seen it, it came and went so fast, and it just didn’t make a splash. Perhaps that’s because its star is a teen/pop/kids movie kind of actor, or at least has been so far, so no one took him seriously. 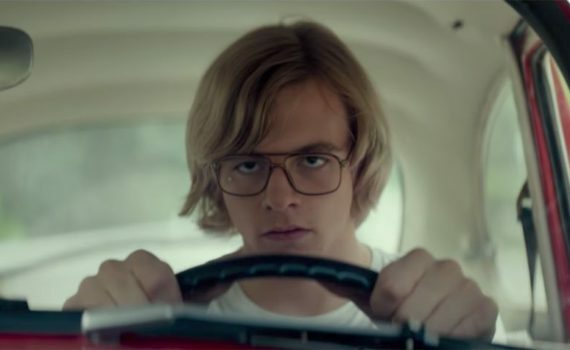 They will now; Lynch doesn’t deliver a groundbreaking performance, Dahmer isn’t given the permission in this film to be the hero or the emotional catalyst, but he does a very fine job in what must have been a difficult spot. Wolff was strong as Derf, and the entire school was filled with believable characters and awesome, dated references. But it was Anne Heche who stole the show; I never thought I’d say that. She was great as Mrs. Dahmer, playing the part perfectly, and I honestly didn’t know it was her for a while at the beginning of the story, she was so transformative. This is a snapshot of the life of a maniac, and although we won’t be talking about it come Oscar time, we should be taking more notice of it than we have to this point, because it deserves its due applause. Video – Shot using an Arri Alexa XT camera with Panavision Primo Prime Anamorphic lenses, the video quality of the film is strong enough to escape notice, not great enough to deserve notice, and somehow perfectly dated to fit the time period in which the action was set. Some of the visuals were great, most of the film you won’t remember for the cinematography, but the whole thing captures an era very well, making it fun to watch without being a dazzling masterpiece. Audio – The disc was done in English, with an option of 5.1 Surround or 2.0 Stereo. Subtitles are available in English, for the deaf and hearing impaired. That’s it for the sound, except for some rad tunes played by the high school kids in the film, which set the mood of the time period nicely. The rest of the audio is forgettable, but often that can be a good thing; if you didn’t plan something huge in the sound department, you probably don’t mind it going unnoticed. Extras – There are three bonus features available on the DVD: an interview with Ross Lynch, a behind-the-scenes slide show, and an official theatrical trailer. Highly Recommended. 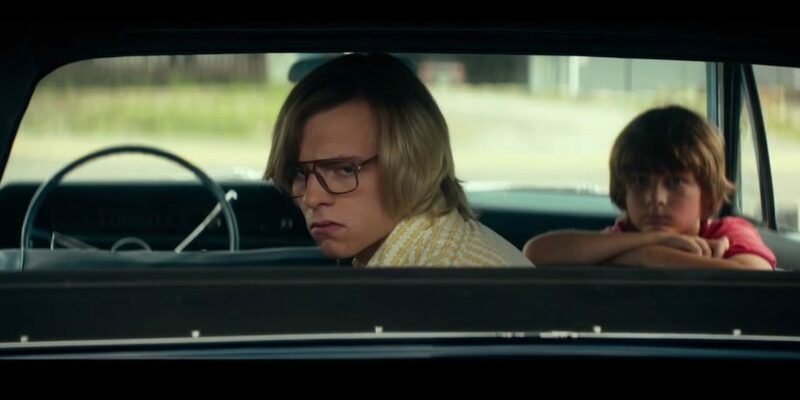 My Friend Dahmer is an intimate look at some of the formative years of a disturbed young man who would grow up to be a twisted killer; if that doesn’t sound like a fun Friday night I don’t know what does. All joking aside, this film takes a touchy subject and makes it something more than a coming-of-age dramody about a serial killer, something more honest than you might imagine based solely on quick assumptions and one trailer. Basically, they did this tale right, and hats off to all involved. Judging it as an award-worthy drama may not be the best idea, but accepting it on face value, I can attest to, is a good idea. The video, audio, and extras are all fine without being special, so don’t expect big things technically. But be prepared to be surprised by the size of the story here; it’s more impressive than you might imagine.